Watch full Cardfight!! Vanguard G: Next Episode 34 English Subbed online for free in HD. Full HD Cardfight!! Vanguard G: Next Episode 34 English sub streaming online. Kazuma and Onimaru clash in a battle between step-brothers. When they were younger, they lived and played Vanguard happily together. However, due to Kazuma’s mother marrying into the Onimaru family, he was shunned, looked down upon, and eventually exiled from the family. Furthermore, Kazuma could never beat Onimaru in a cardfight. Although Kazuma has matured since then, he is still unable to beat Onimaru. 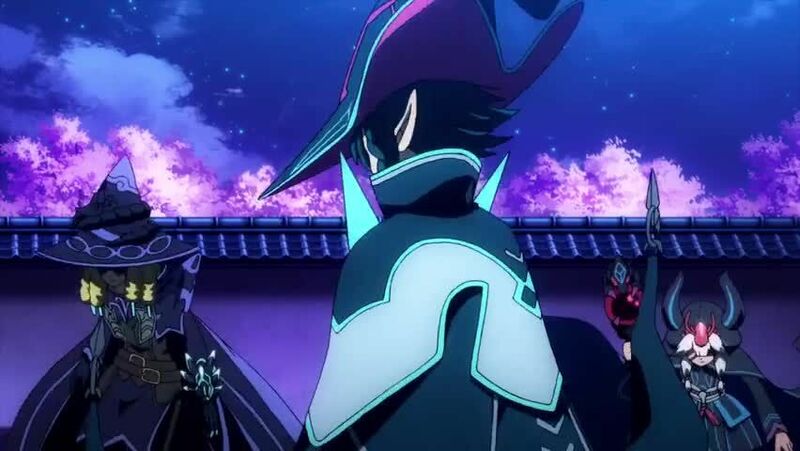 As Onimaru walks away disappointed in Kazuma, he tries to rush towards him but is stopped by Chrono, who now learns of the two’s brother relationship.